A former governorship candidate of the Peoples Democratic Party (PDP), Oseloka Obaze, has said that President Muhammadu Buhari of the ruling All Progressives Congress (APC) would not win the forthcoming presidential election on February 16. 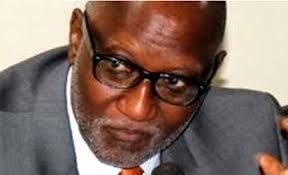 Obaze who is also the Anambra state chairman of the Atiku-Obi election council while speaking at a press conference in Awka, Anambra capital city on Wednesday, February 6, said the sociopolitical mood in Nigeria currently has shown that majority of the citizens are disappointed with the present administration led by the APC. He said the presidential election slated for February 16 would only be a mere formality to officially remove President Muhammadu Buhari from the Presidential Villa in Abuja. .Obaze also alleged that the present administration has been able to implement at least five per cent of the promises its party made to Nigerians before the 2015 general elections. “I don’t see why Buhari should not allow the election to be credible and transparent. 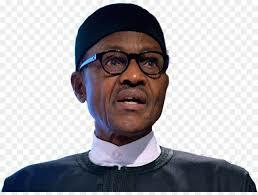 Buhari should accept the imminent defeat he will face in the poll, and go without bringing additional problems on Nigeria," he noted. Meanwhile, HRL News previously reported that the PDP has urged the leadership of the Independent National Electoral Commission (INEC) to extend the collection of Permanent Voters Card (PVCs) by three days. The party said its demand is predicated on reports across the nation that some compromised INEC officials at the collection centers are deliberately refusing to issue the PVCs to voters thereby frustrating millions of registered voters from getting their voters cards. Many Nigerians recently took to the social media to vent their anger over the refusal of some INEC officials to release their PVCs.